this change to my "photo-world". posts from here for a while. 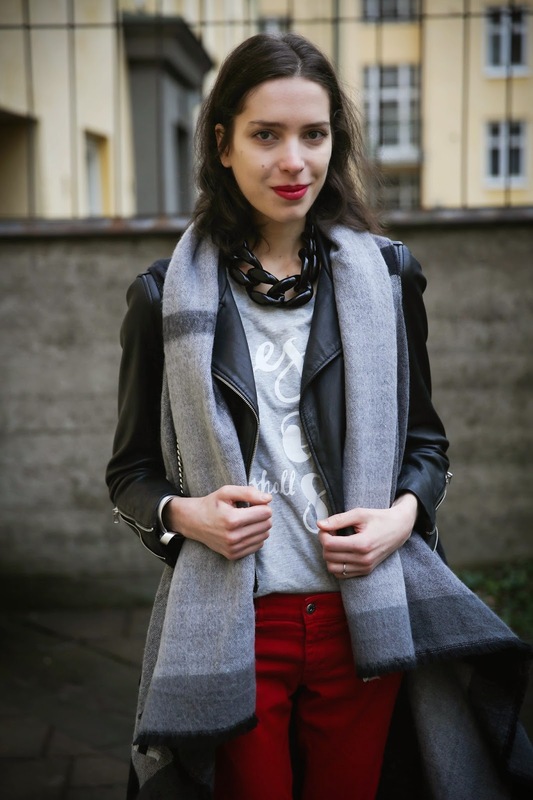 down for bundled up, total black or black-grey looks. I'm in the middle of crazy packing and moving process. I have only 2 and half days to finish everything. Kombinacija mi je odlicna! Obozavam te slojeve, crvene detalje, male stiklice, odlican balans elegancije i rock stiha! JAKO lijepa i za svaku pohvalu! You look so beautiful, great outfit choice! Love this look on you. i like this outfit! great! I just love the colors of this outfit <3 Perfect. Love this vest-jacket combo! Excited for LA, that is absolutely a different vibe, and a cool one to experience with summer clothes. Quite eclectic, but at the same time really well put together. Love it! That leather jacket looks amazing!!! btw I am a fashion blogger too! wooow love the touch of the belt!! Love the way you styled the whole look!! I'm following you via GFC, follow me back? Nice outfit, everything matched so well! 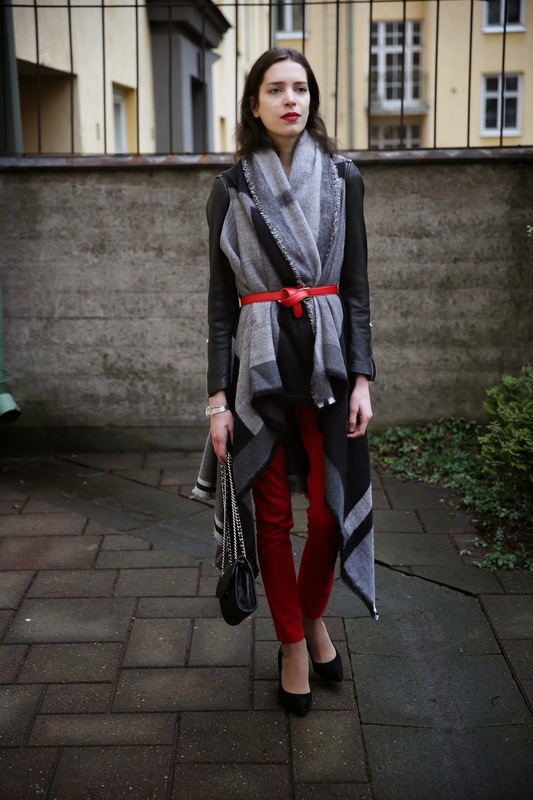 Love how you wrapped your scarf over the jacket. Just moved a few months ago and totally feel your pain, no fun. For day to day outfits and tricks follow my blog. love everything about this outfit. 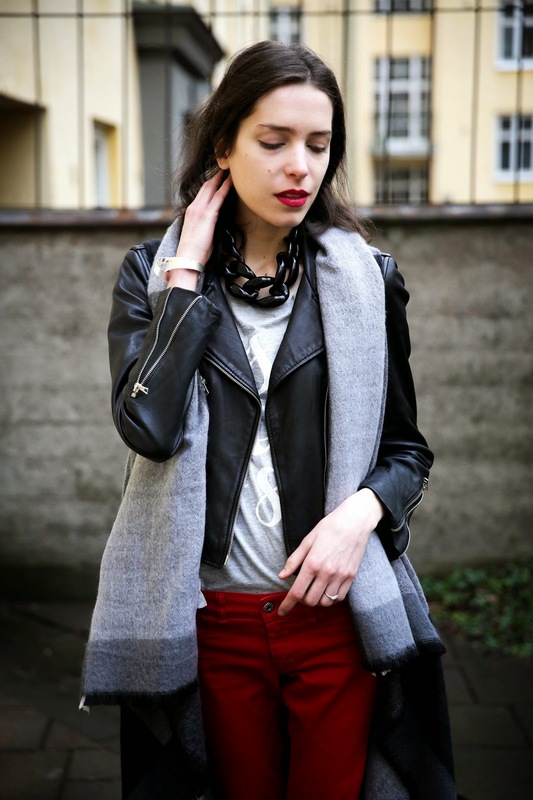 the leather, scarf vest and red pants. great styling. the layering on this outfit is sick. I love the long scarf vest, real cute!